Climate change directly effects food security and nutrition and will increase the risk of hunger and malnutrition on an unprecedented scale within the next decades. Under nutrition is already the single largest contributor to the global burden of disease. Killing millions of people every year and almost all of them children in developing countries. extinct. 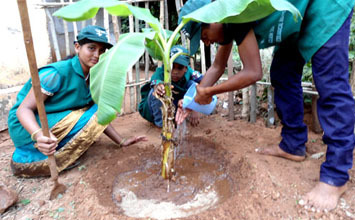 Much of the communities are experiencing the climatic conditions like unstable Temperatures erratic rain fall, drought and the decrease of the ground water level. The project also recognized that climate change and Biodiversity are interconnected, not only through the effects of climate change on Biodiversity, but also through changes in Biodiversity and ecosystems functioning that affect climate change. The Climate change is already impacting Biodiversity and is projected to become a progressively more significant threat to biodiversity in the coming decades. It is also expected that many species will be unable to keep with the changes caused by climate change and as a result the species are increased at high risk of Extinction as the resilience of ecosystems will be threatened broadly. As children are the future citizens, it is important that Children should understand the climate change impacts and the future climatic chaos is going to have on them. 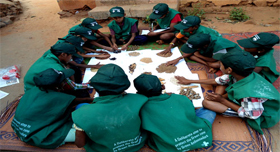 As the children in Kotauratla are already facing the problems and the child groups came forward to take up an activity specifically to understand the vital aspects of safeguarding the ecosystem & Mitigate. This project impends on understanding, observe and study the climate conditions by the children groups and enhance them being more responsible towards the growing climate chaos. The biodiversity conservation project will be benefited and understood by the communities, when they themselves conserve biodiversity on their own land. The main objective of establishment of Community Biodiversity Conservation Area under the project is to identify and establish community biodiversity conservation areas that would demon¬strate protection and ecologically sustainable use of biodiversity, and community economic development. 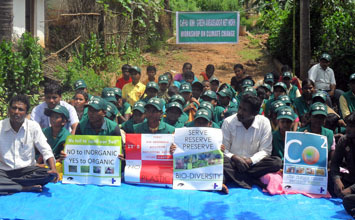 Two model community biodiversity conservation plots are taken up in two villages with community action. 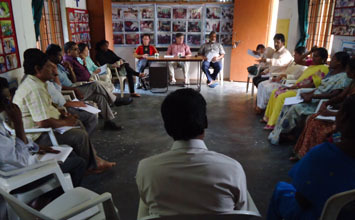 Biodiversity Management Committee formed within the Village Committee. Identified and demarcated area with rich biodiversity. Documenting ecosystem diversity and identifying the landscape and waterscape elements rich in biodiversity. Inventory of the species in the identified landscapes and waterscapes. Helping the community in preparation of Biodiversity Register. 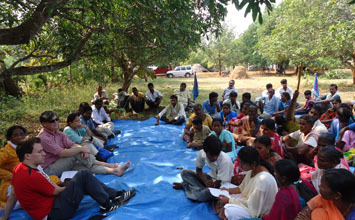 Undertaken activities for raising awareness among the villagers, children and other stakeholders. 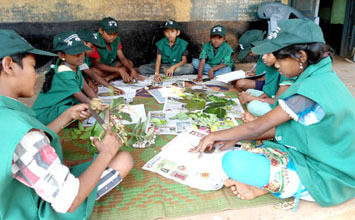 Involved local school children /Green Ambassadors in biodiversity conservation activities. Documentation of traditional knowledge and help in getting the knowledge patented for economic benefits to the concerned. 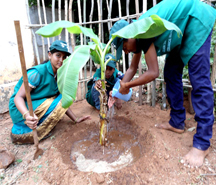 Awareness generation camps are organized in schools and in the villages by the Green Ambassadors. 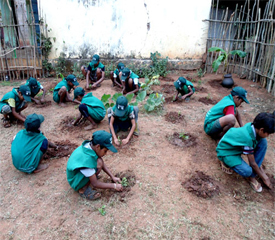 Camps were organized in 4 schools and 4 villages where there is a thick forest are existing. 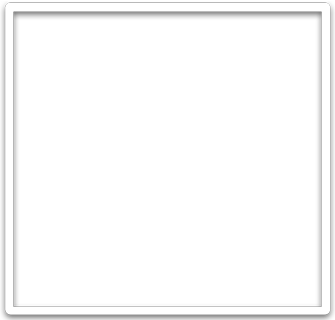 Mitigation of the impact of climate change. 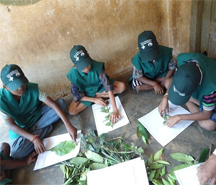 The Green Ambassadors successfully completed the Biodiversity Study on wild biodiversity, fresh water biodiversity and domesticated biodiversity. They also had a demonstration at village alumiyaplaem on agriculture biodiversity. Dr. Malhotra chairman- eco system research division, ministry of environment and forest are being the part of documentation process write through providing his technical expertise and trained the green ambassadors. This document is a detailed depiction of the joint efforts by the green ambassadors, the community and CeFHA team to evaluate and protect the existing ecosystems that normally support the livelihood security of the people in the area. The book also emphasizes on the various capacities the children inculcated from many learned laureates who have taken out time from their busy schedule and helped the study group to meticulously strategize the various components this study required. 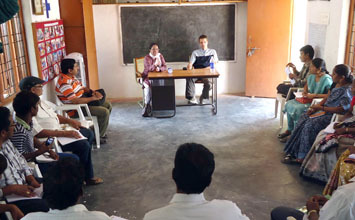 The training programs of Prof. K.C. Malhotra, Chairman- Ecosystem department of MoEF, have formed the backbone and the basic of technical aspects that show up in the book. Mr. Ratnam social activist who have supported in strengthening the conceptual basis of critiquing the efficacy of modern day development. 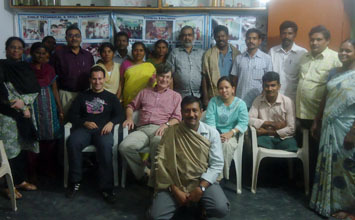 Dr. Rajashekar & Dr. Venkaiah professors of Andhra University help the children and capacitated with the current day chaos in climate change and also understanding the floral resources of the area. This book actually portrays, the various steps the children were involved during the process of the study. 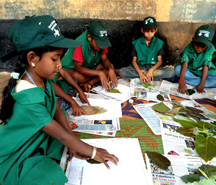 It also brings out the learning’s by the children during the various events that have been organized by CeFHA in order to sensitize the children and the communities on the issues of biodiversity and the importance to preserve it. It was a very gallant effort by the CeFHA team to actually commission a study and auditing the existing resources in the selected environment to the children, without the committed cooperation and positive attitude of the Staff members the study would not have been as successful. The objective of this book is to introduce the reader to a range of successful events that were carried out by the children. The areas that are covered in this book are the general awareness an the need to protect the biodiversity, training programs the children were a part of, case representations by the children on the ground reality, the different networks and movements the children were a part of a detailed study of various subjects that portray the biodiversity situation in the selected areas of forests, water bodies and agriculture. The book also evaluates the situation and gives a conceptual understanding basing on the results of the study.